My answer: pretty much anything! But, that’s not the helpful answer, so I’m going to be sharing more recipes on here that are Weight Watchers friendly, or waistline friendly in general if you’re not on that program specifically. 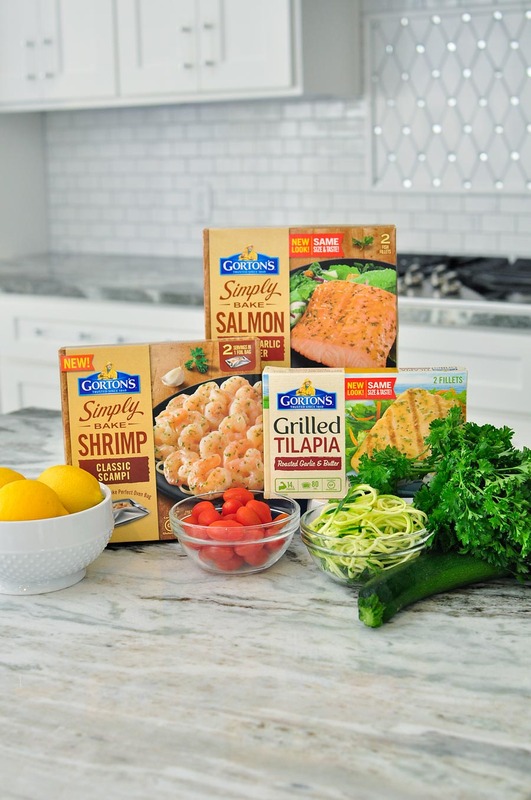 Seafood is a great, healthy staple to rely on if you’re on Weight Watchers, and that’s why I’m partnering with Gorton’s Seafood for another tasty and easy Weight Watchers meal idea. 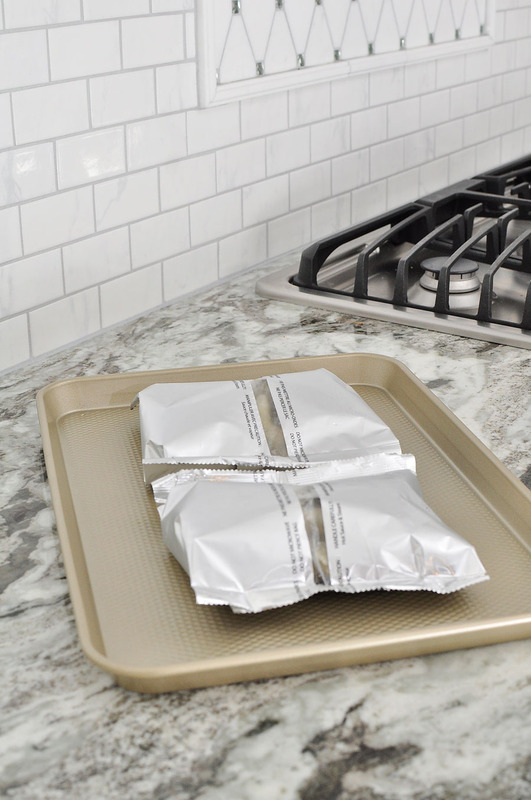 Gorton’s has been providing wholesome, quality seafood options that are flavorful and fresh for over 167 years. Many of you love the Weight Watchers friendly crispy tilapia street taco recipe I published a few months ago, so I’ve got a comfort food favorite lined up for today…shrimp scampi. Buttery, lemony and a delicious dinner you can have on the table in less than half an hour. 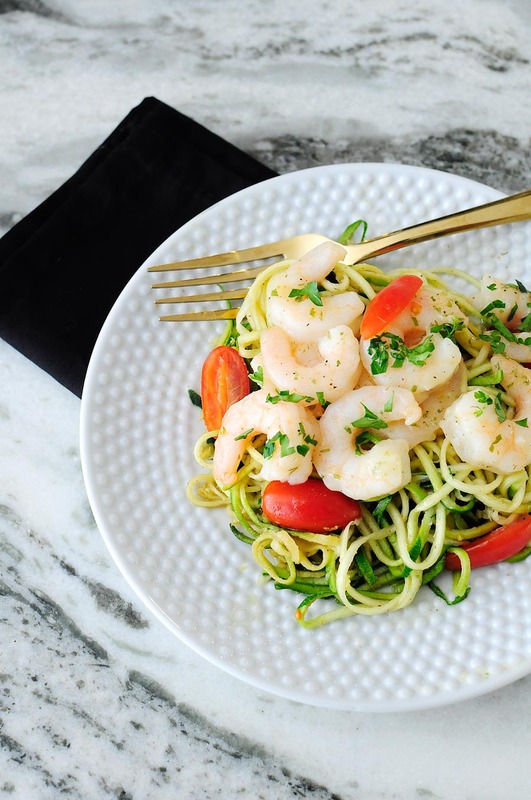 Step 2: When the shrimp has about 10 minutes left, begin to prepare your zoodles, lemon zest, parsley and tomatoes. 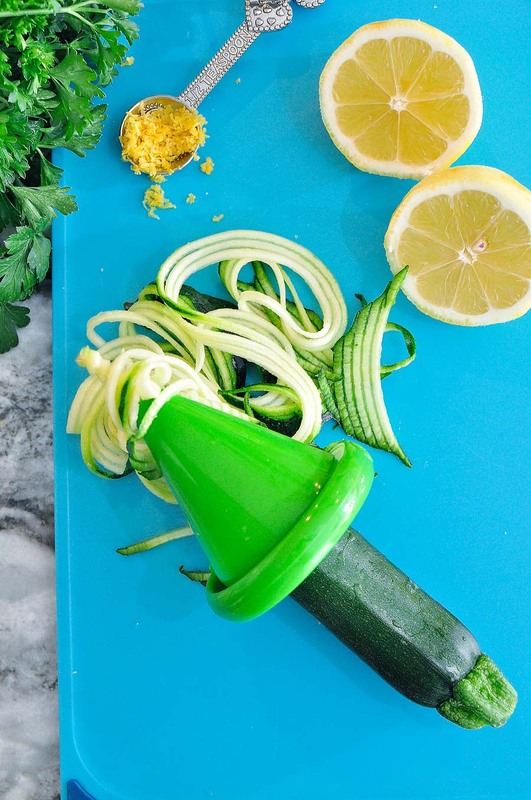 I use a hand spiralizer tool that I picked up for about $4 and I can spiralize a whole zucchini in about 20 seconds. One of my favorite impulse buys from the grocery store. Step 3: Take the shrimp scampi out of the oven, and then cook your zoodles. They cook for about 1-2 minutes max (any longer and they get very watery), so this part goes quickly. In a pan over medium heat, add in the olive oil. Once that’s heated, toss in your zoodles and cook about 1-2 minutes. Once they’re done, transfer zoodles to a large bowl and toss in lemon zest, lemon juice and tomatoes, plus salt and pepper to taste. 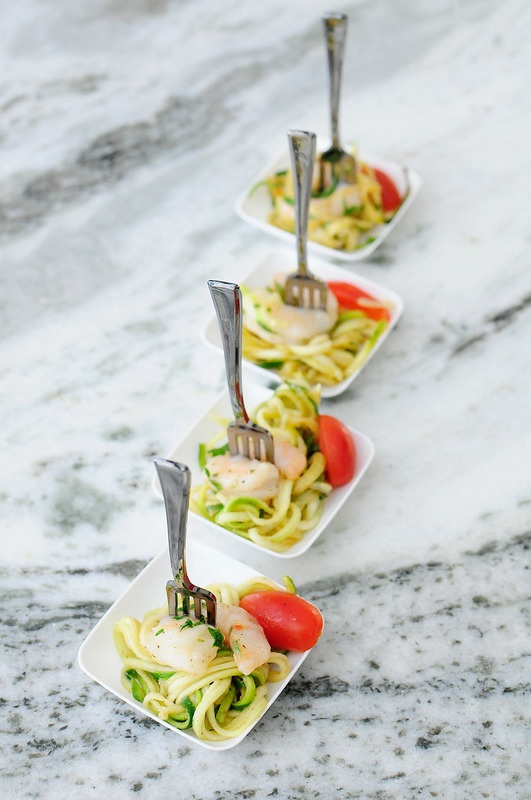 Step 4: Plate your zoodles and top with Gorton’s Simply Bake Shrimp Scampi (about 7-9 shrimp is half the bag). Also drizzle some of the sauce from the bag over the shrimp and zoodles for a buttery, lemony taste explosion. The best part? This whole dish is only 4 SmartPoints on Weight Watchers Freestyle. FOUR! And you get a heck of a lot of food. Gorton’s Seafood is definitely one of my fave Freestyle friendly brands, and you can’t beat the fresh taste, quality and convenience. I also wanted to do a variation of this dish as an appetizer in case you need holiday/New Year’s Eve recipe inspo, so I grabbed some mini plates and forks and plated up individual portions. 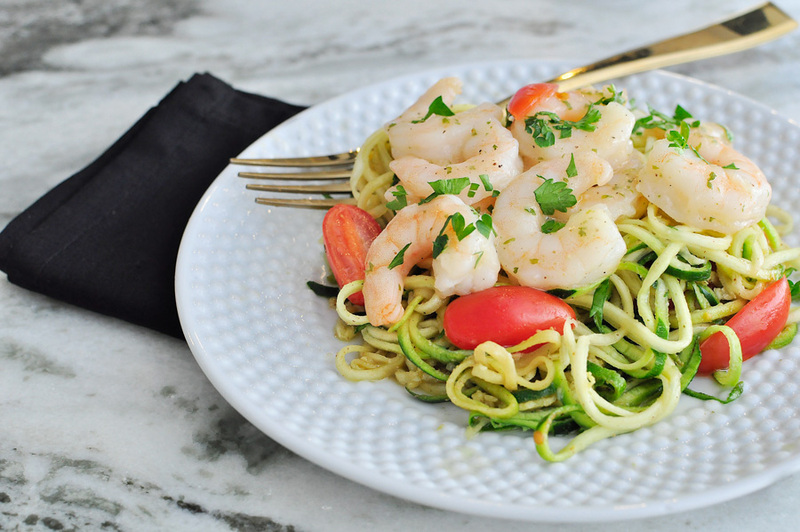 I did a fork swirl’s worth of zoodles, 1 shrimp and 1 cherry tomato half. The colors in this dish make it perfect for holiday soirees- it fits right in. This recipe should help you stay on plan this holiday season, or if you plan on waiting till January 2018 to officially start, I feel ya. Either way, eating healthy on Weight Watchers Freestyle definitely doesn’t have to be bland and boring. 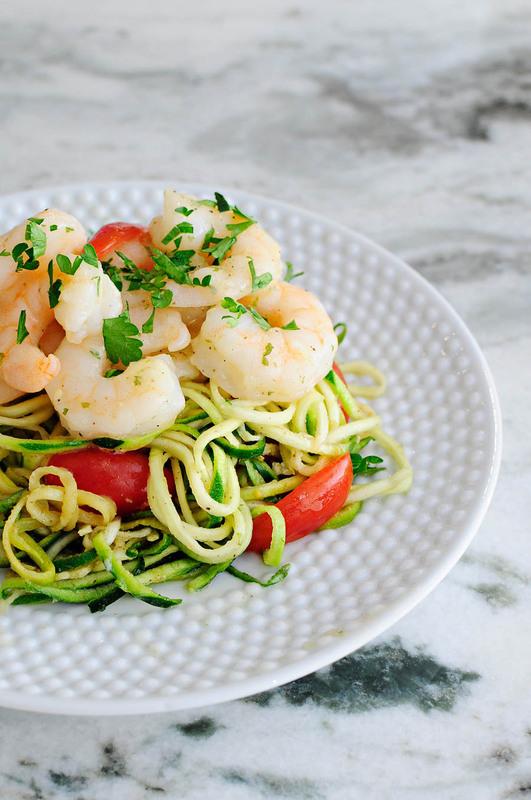 I love everything about this recipe…especially the zoodles!